NAIST held Open Campus on Sunday November 13, 2016. 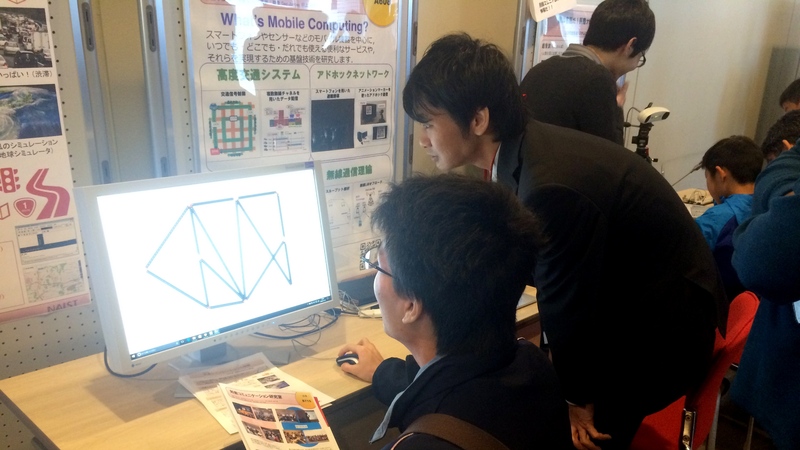 The Mobile Computing Laboratory also contributed to this event by demonstrating the usage of a popular simulator, Simulation of Urban MObility (SUMO), which simulates road traffic. Administration access. 2019 © VSP / NAIST, All Rights Reserved.